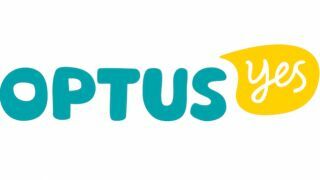 Along with a new look, Optus is putting customers front and center with new plans that it hopes will shake up the current Australian market. You may have noticed Optus' new logo or seen its new brand mascot "Ollie", but along with these changes, Optus will be bringing out new My Plan, My SIM and My Mobile post-paid plans, which will kick off on July 1. The new plans will see prices quoted with per minute costs rather than the traditional calls per "value of" cost. The telco will also allow customers to jump to a higher tiered plan for a month if you exceed your monthly allowance of data or call minutes, returning you to the original plan price and allowance the next month. My Plans start at $50, offering 450 minutes of calls and 500MB of data, and go up $100, which will get you unlimited calls and 3GB of data on a 24 month contract. My SIM is for customers who want the service without a mobile phone, with prices starting at $25. Customers can pair it up with a My Mobile service, which will allow customers to pay off the phone upfront, over 12 months or over 24 months. Tier jumping is capped on these plans, but has shorter term contracts. All plans will offer free SMS, MMS and calls to 1800 and 13 numbers. In terms of value, per minute calls can be calculated in cost to be lower by a handful of minutes on nearly all tiers. Also, the two cheaper options offer lower data allowances than Optus' current plans by 500MB, though Optus said that current customers on the $50 and $60 Yes Optus plans will keep their current data allowance. Though allowances don't seem to largely offer customers better value than its old plans, the main focus in Optus' "shake-up" is the ability for customers to jump automatically (with notifications) to a higher tier for a month if required. "That's a trade-off we've made. The plans are built around a data-centric world, our old plans were built around a world where customers largely used voice," said Vicki Brady, Managing Director for Optus Customer. With Optus' My Plan, each tier jump will cost an extra $10 for both talk minutes and data ($5 for the first jump on the $50 plan). That is to say, if you were to exceed your 1GB data allowance on your $60 My Plan, Optus will automatically push you to a 2GB allowance that month for an extra $10, or 3GB for an extra $20. Talk minutes similarly jump on My Plan, but is unlimited once the above 800 minutes tier is reached. Data will keep incurring $10 extra for each 1GB, capping at a maximum of 20GB. These add-on tier jumps is a shift away from excess data charges that have plagued Australian customers. According to Vicki Brady, the company is trying to refocus its attention on customers by giving customers better control of their usage and reducing bill shock. "When suddenly a bill arrives at your door and it's hundreds of dollars over what you expect, you can see that change the customer's behaviour ... They actually have to reduce how much they spend," said Brady. Optus hopes that the changes to its plans structure will make usage clearer for customers and stem bill shock. But while the move to simplify charges has been applauded by the Australian Communications Consumer Action Network (ACCAN), the lower data allowances on some of the plans came under scrutiny. ACCAN spokesperson Asher Moses said: "We're disappointed the new plans don't come with more included data, given the booming rates of data consumption."